Every semester, hundreds of young adults decide to make Concordia University Austin their home for the next four years of their life. 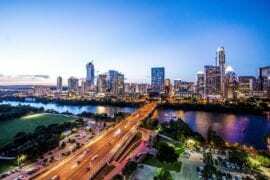 Located in Austin Texas, the city surrounding the University radiates with a captivating atmosphere and unparalleled beauty. 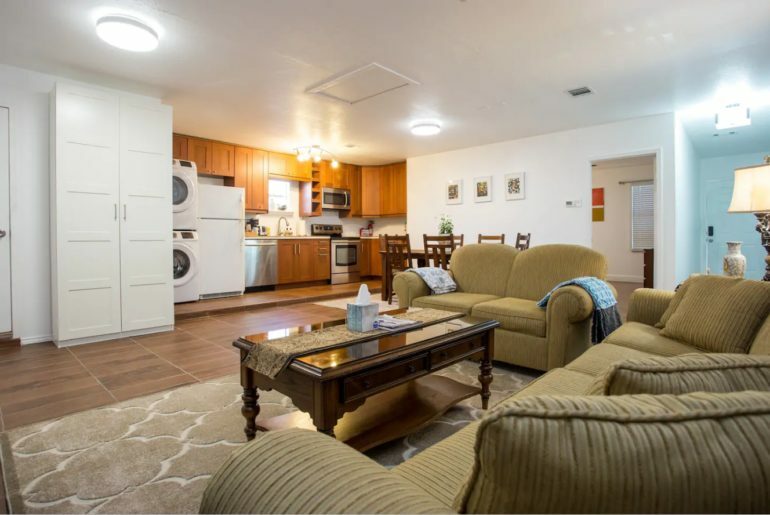 When visiting Concordia University Austin, you will want an accommodation that helps you capture the excitement of the area. 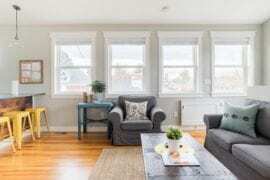 Here are our top picks for Airbnb rentals near the University that will add to the enjoyment of your Austin experience! 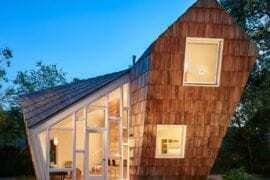 The simplicity of this home perfectly marries the elegance and bright interior. Just a few steps away from Concordia University, this rental is an excellent option for those looking to stay within walking distance to the campus! 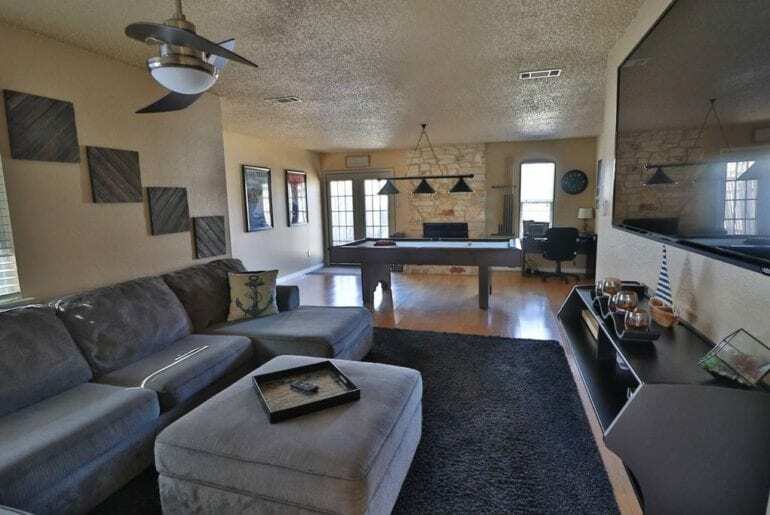 There is a public billiards table for an awesome pool game with friends or family or relax on the cozy sectional couch with your favorite Netflix show. Rentals start at $35 per night. 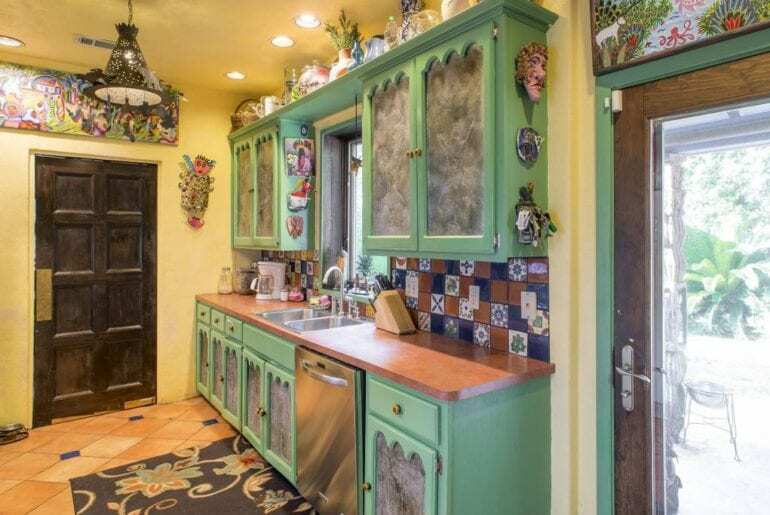 This home known as “Casa Azul,” is filled inside and out with folk art and eclectic decor. This stucco-style house has private outdoor areas and unique architecture. 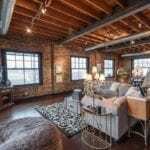 Enjoy the charming courtyard and rooftop patio, or explore nearby areas with wonderful coffee shops, bars, and restaurants. Rentals start at $75 per night. 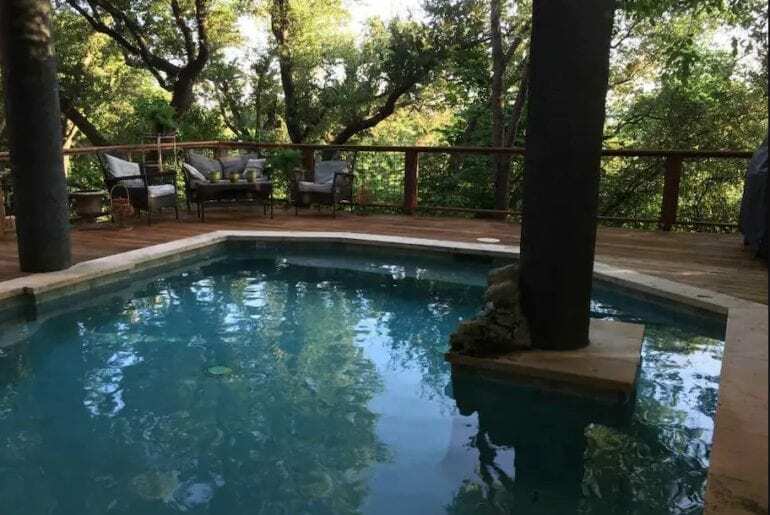 If you’re looking to get away from the hustle and bustle of the busy Austin life – this is your place! 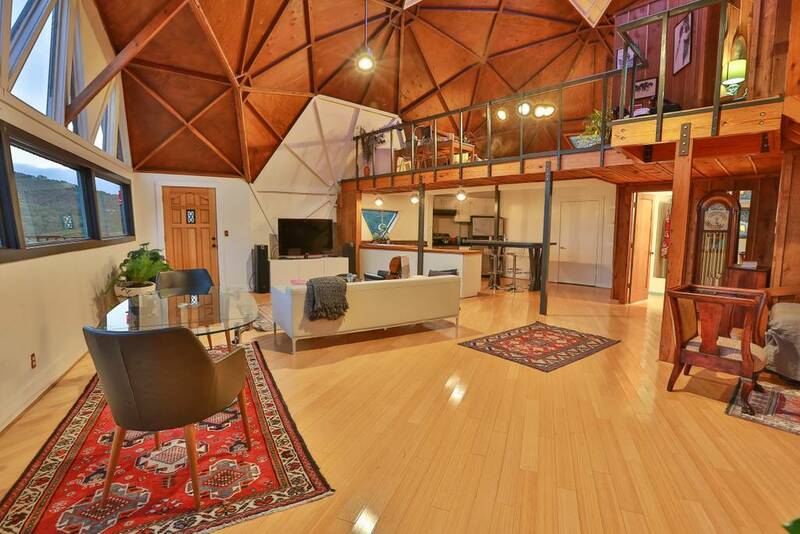 This three bedroom home has welcoming interior décor with wood ceilings and simplistic designs. After a long day, enjoy some tranquility in the beautifully gardened outdoor space by napping in the hammock or enjoying dinner on the outdoor table. Just a short distance away from Concordia University. Pricing starts at $79 per night. 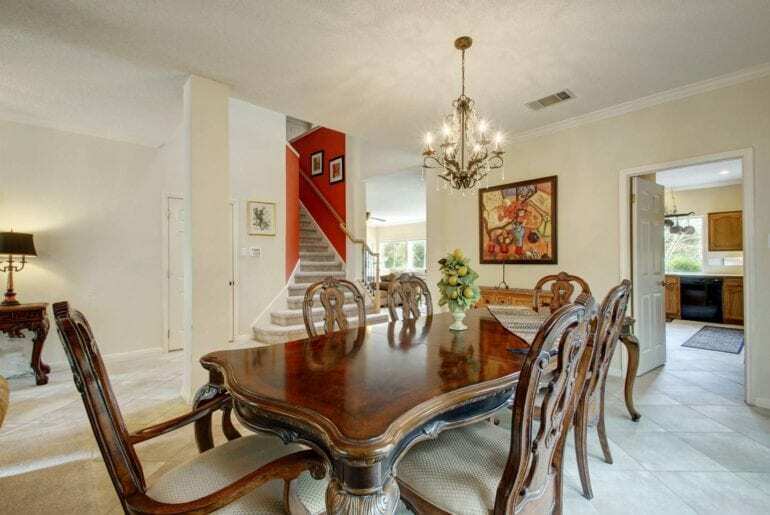 Perfect for a family visit, this is a three bedroom, two bathroom home with a private entrance. You have a full sized kitchen, on-site laundry, and plenty of room to spread out and make this place feel like home. If you’re feeling adventurous head to the nearby St. Edward’s Nature Trail Park and golf courses! 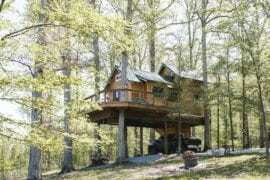 Prices start at $110 per night. This home allows for a tranquil and soothing environment, perfect for unwinding after a long day of campus touring. Included in the rental is a fully-furnished kitchen, private outdoor space with a pool, free parking and kayaks! Located in the heart of Austin you’re just a few steps away from Lake Travis and the well-known Oasis Cantina Restaurant. Pricing starts at $149 per night. 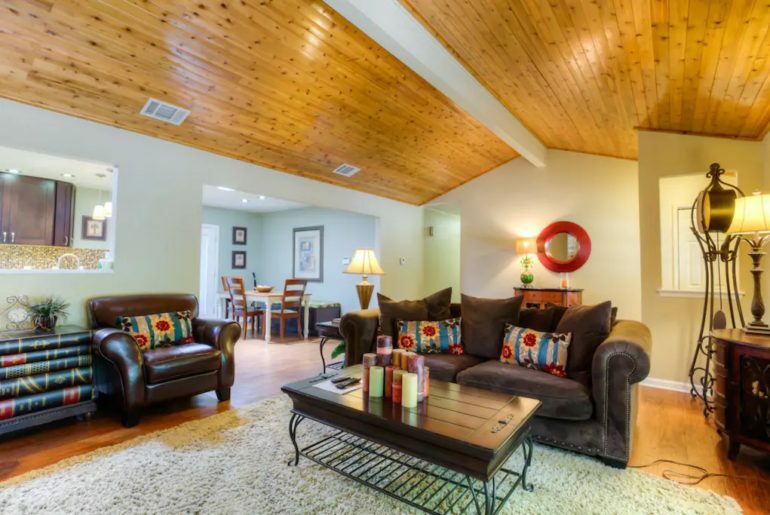 Have a taste of luxury in this Austin home starting at just $159 per night. 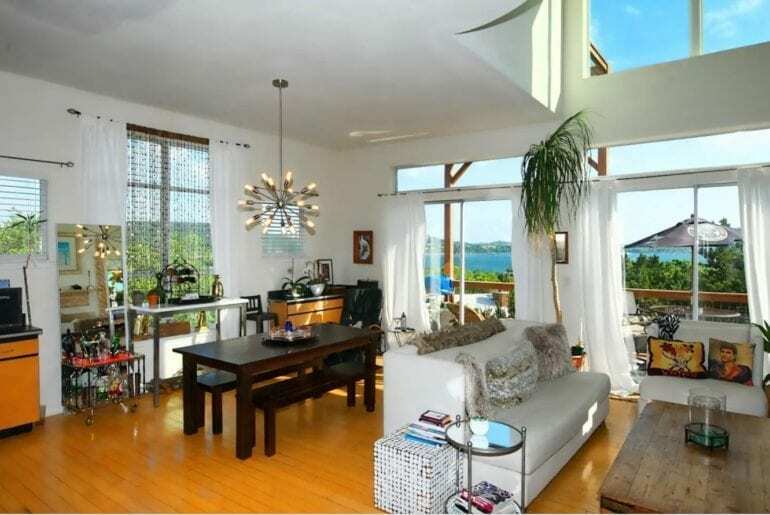 You will be taken back by the gorgeous views of Mansfield Dam and the central sailing basin in Lake Travis through its glassy walled-interior. 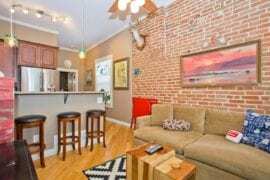 With three bedrooms and 2.5 baths, this is another excellent option for traveling families! You can fire up some dinner on the butane grill on the 2nd-floor deck or the charcoal grill in the front yard. You’re also around the corner from Concordia University! 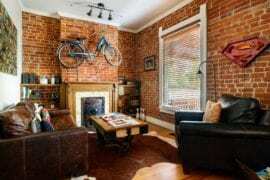 This house has been recently updated and is available for rent starting at just $199 per night. You and your entire family can enjoy the spacious kitchen and private backyard with deck, gas grill, fire pit, hot tub, and dining area! There are nearby hiking and running trails perfect for an adventurous afternoon. 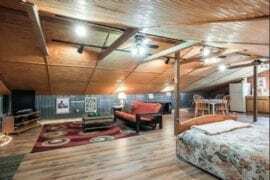 This unique listing will be your dome away from dome 😉 Starting at $350 per night, you can stay in this one of a kind accommodation. 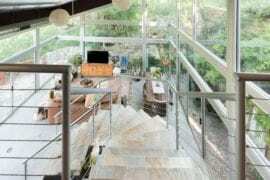 Located above Lake Austin, this private property overlooks the beautiful Downtown area. When it’s time to come home for the evening, you can have a delicious BBQ in the private backyard and enjoy it on the outdoor deck.